Indiana World of Wheels event will be held at the Indiana State Fairgrounds from February 8th-10th. General Admission is $19 and children 6-12 are $7. Children 5 and under are free. 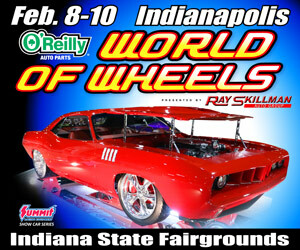 Indy World of Wheels is sponsored by O’Reilly Auto Parts and presented by Ray Skillman Auto Group.